how do you inspire positive change? We all know that sticking to good habits can be hard. No wonder apps and technology like Fitbit, which measures how many steps people walk in a day, have been so successful in helping people with their fitness regimes. But how do you measure and encourage habits in the workplace? Meet Habi. If you are seeking to instil behaviours in your organisation that support your business, our measurement and development tool is here to help both you and our team to meet your goals. When you measure and track something, the very act of doing so increases the likelihood that you will integrate the new habit into your daily routine. Habi works in just the same way. 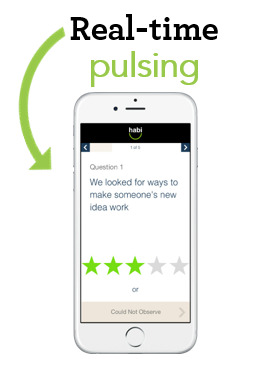 Habi acts as a trigger to remind you to display a chosen behaviour in meetings and during your daily work life, it shows you how you can do that, and it rewards you with instant data and with daily coaching tips. It's almost like having a life coach in your pocket - there to motivate you when you need it most! 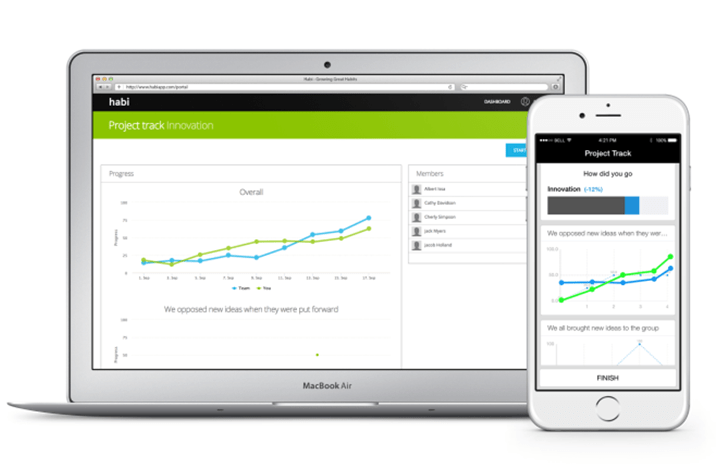 Voluntarily track yourself, buddy-up and track each other, agree as a team to track behaviours together or participate in organisational-wide tracks of key behaviours. A variety of privacy settings allows the tool to be used for different purposes. Wait no longer for monthly reporting – pulses are taken daily and are aggregated daily. It means you can start each day with a review of yesterday and suggestions for how today can be better. 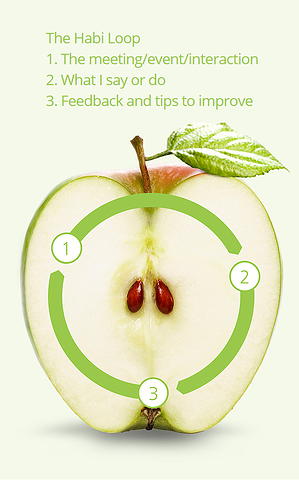 Almost all organisations now see the clear link between having an effective culture and successful business performance. But how do you instil the culture - defined as 'the patterns of behaviour that are encouraged, discouraged and tolerated by people and systems over time' - that you want? 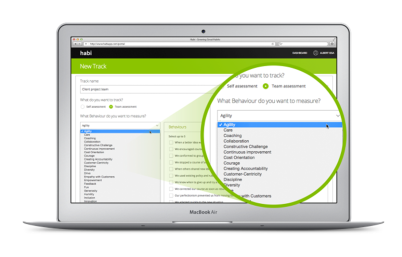 With Habi, you can focus your people on building the behaviours that are most important, habit by habit. 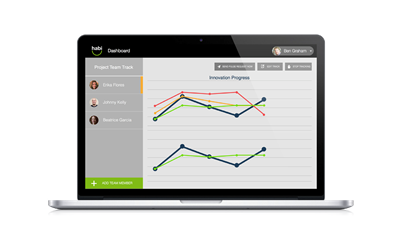 - Does your organisation measure the habits and behaviours of your teams? In real time or before it's too late? - Are you in a position to ensure that everyone in your organisation receives frequent coaching, advice and support for personal development? - How many habits have you successfully changed without a tool or program to support it? Habi is built around 42 habit patterns that have been selected based on research with organisations as to which characteristics they need to implement their strategies, delight their customers and protect their reputation. To find out about how Habi may support your business, click below to request a free trial or get more information.